Long before actor Masi Oka broke into Hollywood with the NBC TV hit, “Heroes,” his work had been seen by millions of people on the big screen. It’s just that they didn’t know it. Oka spent years as a programmer for George Lucas’ Industrial Light & Magic (ILM) writing hundreds of thousands of lines of code. It was his programming that allowed ILM to bring the water effects to life in films like The Perfect Storm. In fact, even though he doesn’t actively write code for ILM any more, his technology can still be seen on the big screen in films like Pirates of the Caribbean: On Stranger Tides. While Oka is currently starring in the CBS hit, “Hawaii Five-0,” he’s using his programming background to actively develop original video games aimed at the Japanese audience. The tech guru and self-professed gamer talks about his latest projects in this exclusive interview. Complex: In the past you’ve been a devoted World of Warcraft player. Have you been able to check out Cataclysm? 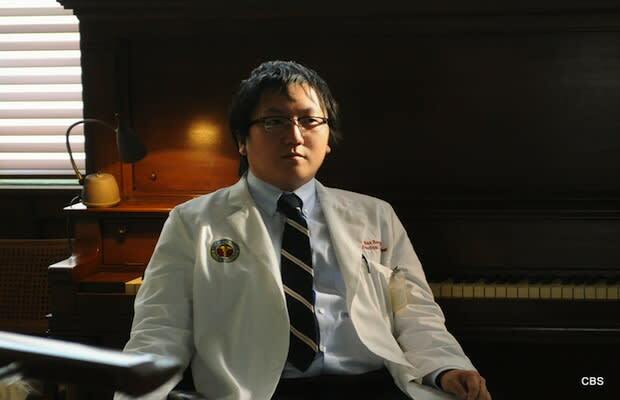 Masi Oka: I haven’t been able to play Cataclysm at all. I know if I picked that up, I’m going to be addicted to it. Even in Hawaii when I have any free time, I’m focusing right now at least trying to get these other projects up, whether it’s these new game projects I’m working on or writing, producing, and even directing stuff. It’s been taking up my time. I love games. When I have time, I’ll play it, but these days I just like to play my social games and the casual apps on my iPad because I know it’s going to be a small investment of my time. If I pick a COD or a WOW again, I know I’m going to be completely hooked and spending my time there. As much as I love it, I have to take a break for a good year or two until I get my other things set up, then maybe I can just relax a little. Hopefully, if I ever have kids, one day I’ll be able to play with them. What casual games do you play on your iPad? Mostly for iPad I’ll just play games like Civilization, Pirates, and Final Fantasy and the Chaos Rings, which has a great nostalgia factor. I love strategy and RPG games. How has your programming background from ILM helped you with your new videogame projects? Without a doubt, it’s been a huge help because it allows me to talk to designers. Coming from a programming background, I have a good sense of what’s feasible and what’s not feasible in a game. I wasn’t the best UI programmer, but I know to use the interface and that stuff. It’s definitely given me a leg up in terms of being able to talk to the people in the games industry. Coming from a programming background, I have a good sense of what’s feasible and what’s not feasible in a game. Literally, I don’t have that many ideas that I want to push, but the one that I do push, I’ve had people react very favorably to. It’s just everything moves slower in the gaming world and the digital world. When will people be able to see your first game? We’re still working on a couple of things. There are a couple of new ideas that are being worked on, as well. Do you have a publisher, or are you just self-publishing the stuff? For the casual stuff, I have a developer and a publisher, but they’re just behind the things that need to get settled. Then I’m just working on a couple of other things with some Japanese publishers, as well. Are your games targeted specifically for the Japanese audience, or do you see any of this coming out in the U.S.? Oh, yeah. I could see definitely a lot of it coming out in the U.S.
How has the boom in the mobile and social gaming business impacted your ability to turn an idea into a videogame? It’s been huge. On the console side, I had this great idea and I had a developer and everything. I was going around to all of the publishers and it was tough to get anyone on board because they needed to see something concrete. At least with casual and social games, you can prototype something much quicker and much cheaper if you bring people on board. In some sense, games – and apps, in particular -- can become the new comics for the Hollywood entertainment industry, where you can generate IP through introducing new apps and games. Are you looking for your casual games coming out on smartphones, tablets and PCs? Look at past EA deals that they made with Steven Spielberg and Zack Snyder. I haven’t seen much come out of that. Yes. Console games are just hard to break into in terms of original IP. Look at past EA deals that they made with Steven Spielberg and Zack Snyder. I haven’t seen much come out of that. Even console games makers are starting to get a little bit protective, because they don’t want to invest that much money into a new franchise if it’s not proven. It’s just like the movie models these days, where everyone is going with franchises, sequels, or big name stars. There’s no reason for the publishers to really go after a “new IP” unless it makes huge business sense to them and something’s guaranteed. That’s why it’s much easier in the mobile space. That’s basically what Activision is doing. Outside of Call of Duty and World of Warcraft, they’re not doing a whole lot of games. Yeah, it makes sense business-wise. Hopefully, they can ride those franchises forever and ever. With gamers, I think you have people who like franchises and there’s always that next generation that’s coming into the games. Fortunately, you have your IP and game engine in place, so you can go on top of it and just add new features with each new title or expansion. I remember when I had friends who were working on the Tony Hawk franchise, that’s what they did. They built an engine for a couple of games and then just added new features on top of it. Then there comes a time when you need a complete technology change and you have to really build for the future, but a lot of times when you get to release new stuff, you can rebuild on the IP. It’s like a movie franchise, where you’re rebuilding all the old characters and just coming up with new stories. It’s a lot more efficient that way. So I can understand business-wise it’s much easier, but it just becomes difficult to find new stuff. For us, trying to create a new IP, it makes it difficult to break in outside of the more casual and social games space.